Self-Confidence, Self-Esteem, Self-Worth… They are crucial to your success in life. Think highly of yourself, because the world takes you at your own estimate. This is actually good to know how this process work! It means, if you manage to raise your self- confidence, based on a more realistic self-worth evaluation, rather than undervaluing, doubting, questioning yourself all the time, people start responding to you differently. 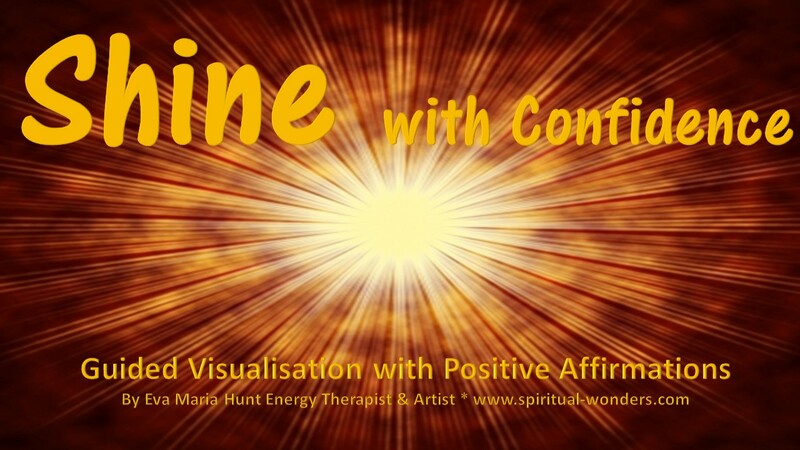 To help you get there I created this guided visualisation below, which is fortified with positive affirmations. Confidence is really a matter of perspective. If you keep comparing yourself to others, you will always feel inferior. You will always be lacking something that someone else has. The only way out is looking inside and feeling your own potential, getting to understand who you really are, and gathering confidence to act on your findings. Download this beautiful, 9 minutes guided visualisation, accompanied by positive affirmations. So you can keep reminding yourself to shine, in the morning to start your day off on a nice note, before a meeting to give you a boost to feel the confidence that you can do it, or pretty much any time anywhere, when you need a top up, a reassurance that “You Can Do it”. Don’t have 9 minutes? No problem. 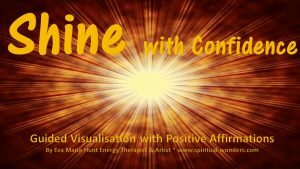 You can get the positive affirmations separately 1.45min only, with the benefit of being able to listen to it on your way to walk, in the car, in the elevator for that last minute top up. Would you like to work on more areas at the same time? Connect – with your heart for abundant love, health, happiness – 9:59 min. Shine – to strengthen your confidence and claim your power – 9:00 min. Plus for ease of use I separated the positive affirmations from the recordings, so you can listen to them individually anytime anywhere. Connect positive affirmations only – 1:15 min. Shine positive affirmations only – 1:49 min. Create positive affirmations only – 2:27 min. Instead of paying for them all, individually, in total £11.94 you can get the bundle for £6.99. That’s 40% off the price. ← Entities Exist! 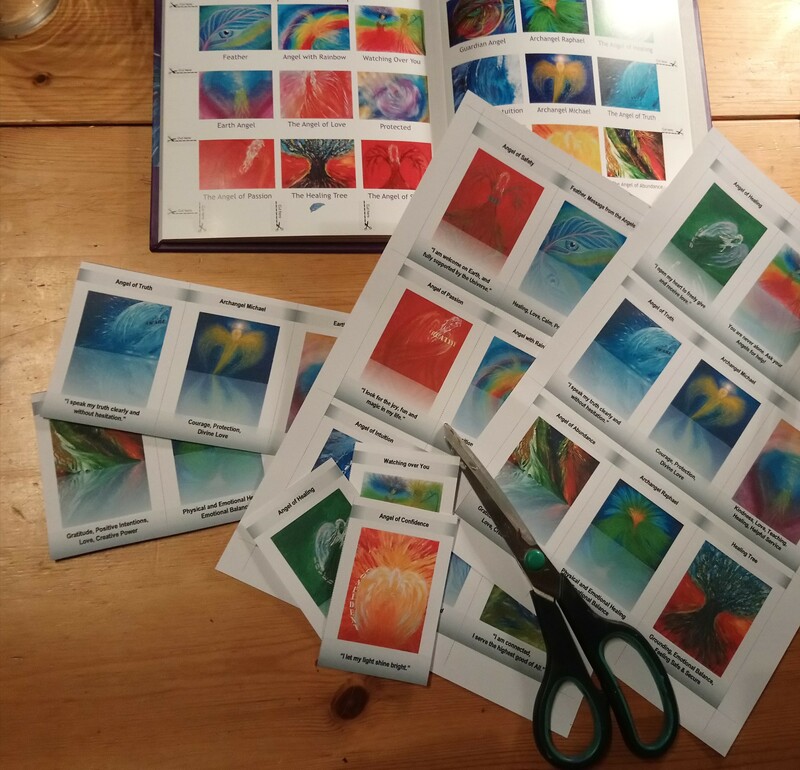 – Raising Consciousness – Part 3.